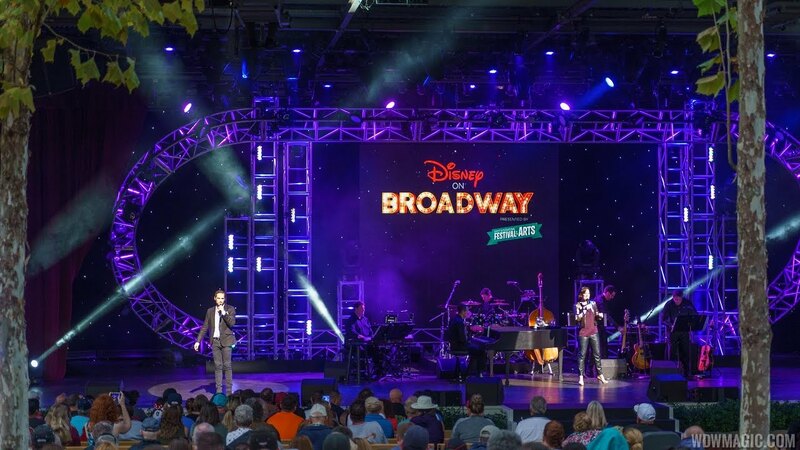 Jan 07, 2019 in "Epcot International Festival of the Arts"
Disney Vacation Club is offering a Disney on Broadway Dessert Party for Members and their guests at this year's Epcot International Festival of the Arts on February 25 2019. Attendees will enjoy guaranteed seating at one of the evening’s Disney on Broadway concerts at the America Gardens Theatre and an 8:30-9:30 pm fireworks dessert party in the United Kingdom Pavilion before mingling with the Disney on Broadway stars during a casual cocktail hour (9:30-10:30pm) in the Member Lounge atop the Imagination! Pavilion. The cost per person is $77 (plus tax and gratuity) for adults and $52 (plus tax and gratuity) for children. Please note that paid Epcot admission also is required. Call Member Services beginning January 8 at (800) 800-9800 for details and reservations.